It takes more than a bit of pixel art to recall the nostalgic days of the NES. You have to capture the spirit as well. That's why Shovel Knight is so successful, and why The Messenger has a chance to follow in its footsteps. 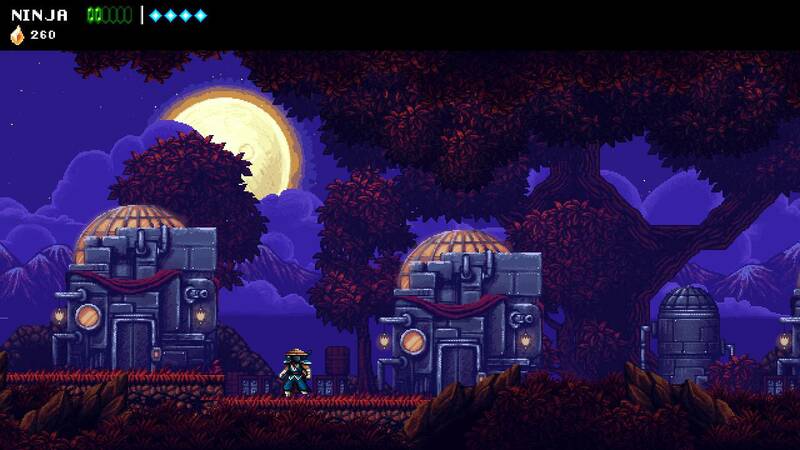 First announced back in January, The Messenger is a time-traveling platformer that jumps between 8 and 16-bit graphics. At first blush, it looks like a modern update of Ninja Gaiden, but it is in fact nothing of the sort. Instead it combines elements of traditional retro platforming with the Metroidvania genre, effortlessly moving between the two in what rapidly becomes a mind-bending retro adventure. You can tell immediately that the developers "get it" with this game. Its controls are sharp and precise, designed as they are to cater to speedrunners, which is exemplified by a novel double jump mechanic that's activated by slashing an item or an object. It has a forgiving continue system, but shames you with a "dunce cap" monster that follows you around and steals your coins until you've paid your due (a fun way to make fun of speedrunners who screw up) It manages to be both a callback to the classic days of retro platforms as well as thoroughly modern, which is not an easy thing to accomplish. 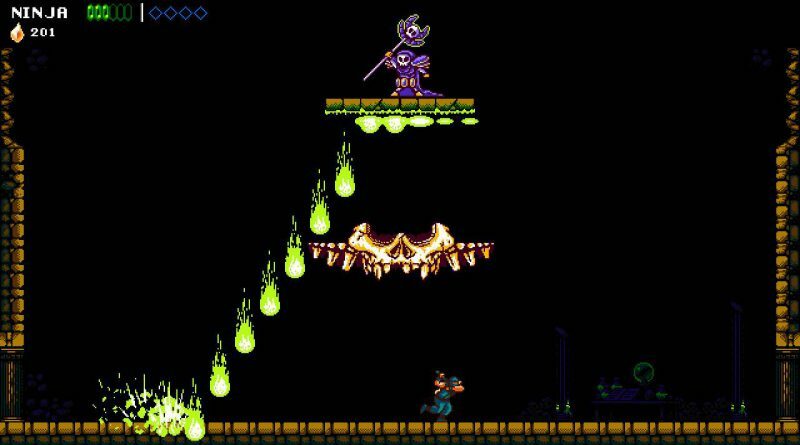 The Messenger features the same sort of "upgraded 8-bit" as Shovel Knight. It begins as a classical 8-bit platformer. You take on the role of the eponymous messenger—a ninja who witnesses the destruction of their village and must seek out help. Initially, you simply run through each stage slashing away at opposing demons in a game that looks very much like your typical late-stage NES game. It's faithful to the look and feel of the 8-bit era, but like Shovel Knight, it intentionally features larger sprites and striking backdrops as a way to evoke retro games as we remember them rather than how they actually were. At a certain point the time travel component kicks in and The Messenger is thrown into the future, at which point it becomes a perfect tribute to the Sega Genesis. Its soundtrack even features the exact instruments used in the Genesis sound chip. As tributes go, The Messenger is already a treat. It nails both the visual component and the precise controls needed to make it feel authentic, and it's topped off by a novel variation of the well-worn Metroidvania genre. It was easily the best game I saw at Nintendo's indie event. At a certain point The Messenger becomes a 16-bit game. Rich art, an authentic tribute to the Sega Genesis sound chip, and smart mechanics make The Messenger sing. But it's the way that it seamlessly moves between 8 and 16-bit graphics, Metroidvania and platformer, that really makes it interesting. Best of all, it's coming to the Nintendo Switch, which is the best home for retro tributes like The Messenger. Shovel Knight is probably the best retro tribute ever made, so I don't make comparisons to it lightly. But The Messenger may be worthy of that mantle. If it lives up to that impressive legacy when it launches this summer, it may well be one of the best games of 2018. Tagged with Analyses,	Indie,	indies to watch,	Switch.